A recent thread had Krusher and Rod come out and say they ride forward. One of the things that most people who ride paipo don't get the chance to do is watch other paipo riders at all or for very long. I had the chance to surf with a few people recently and the comment was made that I ride the board forward. Where this gets interesting is when you try to surf a board made by someone who surfs further back or moves around a bit, you find the board doesn't work the same for you. I was nose-diving a new board a bit and that's where I heard the comment about being forward/not moving round a lot. It's an interesting topic, a bit like the comments elsewhere about do you drive through the elbow to turn or turn in other ways (and of course it can be a combination) - hands which may be holding some type of handle, grabbing a rail or just steering from the nose; thigh/leg pressure or other weight distribution toward or away from a rail. There is the superman arm and just finding a line and letting the wave take you along. There is some footage at the end of Jeff Quam's interview where you see a fair bit of weight redistribution and body movement. As always type of wave, surfing background, desired experience etc comes into play but it's one of the least discussed topics. Last edited by bgreen on Wed Feb 18, 2015 4:37 am, edited 1 time in total. I designed the T-Belly to be ridden from a position behind the center. To understand this, you have to understand my design process. My designs are purposeful, and by that I mean each design element has a purpose. Design elements are considered in terms of how they impact other elements, with the goal of achieving a balanced, integrated design. One consideration I always make is the relationship of the rider’s center-of-mass (COM) with the board’s center-of-buoyancy (COB). From research I have reviewed, the COM for a human male is about 51% of body height measured from the ground up (just above the navel. Females have a slightly lower COM). Without a way to measure COB, I make the assumption that it is close to the board’s COM, which my shaping software does measure. I believe that maximum planing efficiency occurs for a prone-ridden craft when the rider’s COM is located over the boards COB, AND when that point is somewhere in the rear third of the bottom. Why the rear third? Because you want to minimize wetted surface to reduce drag. One design goal for the TB was to minimize the need for the rider to make large positional adjustments while riding. I started with, what for me, is the ideal rider position on the board (tailblock mid-thigh, elbows resting on deck and hands gripping nose), and then designed the foil (flow of volume from tail to nose) to achieve the ideal Rider COM to Board COB. Casual observation of the TB foil and outline reveals that location to be just behind center on the G2 and slightly further back on the G3 (as a result of shifting the wide-point back). Because of this design, the TB accelerates immediately and achieves maximum planing efficiency quickly. Moving forward more tan an inch or so while riding results in no further speed increase (but does release the fins!). Looking at the typical boogie board, it is easy to see that both max width and max thickness are forward of center, which is where the boogie boards COB is located. It makes sense to me that these craft will plane best when the rider is in an extreme forward position (navel forward of center). I believe this is true for belly board shapes with a similar volume distribution and COB location. In fact, look at your favorite prone-riding craft, and locate the position where you find the board planes best. Chances are your navel will be within an inch or two of the board’s COB. Furthermore, this “sweet-spot” varies from shape to shape, and I believe each rider discovers this “sweet spot” through trial and error. I don't know whether my forward riding style has come from riding bodyboards with a forward of center wide point and learning the COB of those boards and thus it became my "style" Or from riding very weak waves (welsh norm is knee to waist high 6 sec period slopey bumpy surf) and getting forward to try to hold speed and stay on the wave. I know I drive hard through my elbow and hip bone as I will dent a board in those areas. I remember on one of my first trips to indo struggling to make sections on fast waves I saw another bodyboarder in the water who was making everything and traveling very fast, and through watching him saw that his COB was a bit further forward than mine. One thing i have tried to pass on to other bodyboarders, if that when riding my rail arm is usually bent at nearly 90 degrees (while holding the front corner) this in turn make my COB forward, I see a lot of riders reaching/stretching for the front of the board, this makes there COB very far back and thus the either don't go very fast or lose the wave. Would be interesting if I lived where waves were head-high steep and more powerful whether I could benefit and change my style to the more rear COB, of just simply having a rear of center COB/wide point board will change your style. I guess its just like stand up riders being front or rear foot heavy. I think In your case Bgreen you are going forward to gain speed and then the board lacks nose rocker to allow you to stay there without eventually digging nose. I think the pic answers the question -- this is a cropped version of the full sized pic (all photos by a friend in Puerto Rico, Jim Crotty), all on my Checkered RPM by Austin Saunders. I ride the Bonzer in a similar fashion but not photos. All my boards are 50 inches long (except for my Xylem which is 48" and on display in the Cocoa Beach Surf Museum exhibit -- it is a standard Xylem Malama Kai that I bought from Josh Klein). A center fin is for me. Forever and always! Looks like similar body position, but the your back is arched more in photo 2. Here are 3 photos using a board with a handle, the left are part of a sequence. I'll send 3 others where there is no handle. A Nofin, a wood board, a Goddard style paipo. I can see how the handle allows a longer board to be ridden without having to reach and stretch out to much for the nose. I usually have one my hips to knees at the back contacting the board and a elbow at the front, I find if my chests in contact then I loose the ability to swing the board into turns with my arms. Kinda like you you were riding a bike and had your chest on the handle bars. Here is another pic showing thigh and elbow only contact, of coarse this is in a very steep wave so more to the extreme end of body contact, and also I guess with my boards being finless I have to have all my COB over the rail for hold. I ride pretty far forward as well. However, I surf a lot of steep beach breaks and so I will I often have to take off with the board out in front of me a bit to avoid nose diving. Then I will slide back forward onto the board. I hate having to do this this. I usually gets me out of sync and slows me down. I like to drive with my elbows. Consequently I like to have the wide point of the board built further forward. There's a pm I sent you. If it didn't arrive let me know. jbw4600 wrote: I ride pretty far forward as well. However, I surf a lot of steep beach breaks and so I will I often have to take off with the board out in front of me a bit to avoid nose diving. Then I will slide back forward onto the board. I hate having to do this this. I usually gets me out of sync and slows me down. I like to drive with my elbows. Consequently I like to have the wide point of the board built further forward. I often get way up on the front for take offs and then when going down the face will slide the board further out in front of me to bottom turn. Do you have much nose rocker? He's in the same position I ride, and the handle is allowing this position on alonger board, with no handle he would either be very far forward or reaching for the nose and stretched out, which looses TQ for turning the nose. Yeah, looks like handle increased functional body length through increased leverage. Longer board gives more glide, planning, earlier take-offs, better peak chasing, many pluses. Okay, you itemized the "credit" side of the ledger. For balance, let's itemize the "debit" side of the ledger. wierd looking for those that care, bloody noses, broken fingers, wrists, noses, extra work to make, just another step farther away from the natural feel between body surfing and paipo (plywood) or belly (foam n glass) boarding and cost are maybe some minuses. Regarding that clip…I think the entire ride was about 20 seconds, very small wave but had some zip and a little wall. If you look real close at the first 2 frames you will see that almost a half of the body is off the board, tail is drifting laterally,but being controlled by the pressure from the handle and the outside rail…it's a fun experience and can be more extreme depending on the situation, ends up like riding a large hand plane sometimes, and can really set you up nicely for barrels and whatnot. After that the body pulls back levelly onto the board for the trim/glide with the board being adjusted to the wave face from the counter pressure of the handle , and arm on the outside rail. As Rod said,it's just one wave, and just one technique to suit that particular situation. As for the handle itself, have yet to break a finger,nose, wrist or whatever, but I suppose there is still time. And, a respectful question for those that employ the "superman' technique…why? I have a hard time envisioning, let alone experiencing benefit from that on paipos… obviously a standard and totally functional approach in body surfing as in your hand becomes a planing surface, but I'm stumped on how or why it's of benefit on a paipo? The experience of your legs/lower body lifting off the board is one I have commented on to Jeff Quam. I've mostly noticed this going into a hollow section before it shuts down, rather than when turning or when on a full section. I think the superman arm was very much a finless wood paipo method to put pressure on the inside rail. It's not something that comes as a natural movement. I look forward to hearing about your new board. I sold a board (and gave one to go with it) so have ordered a new board (I took the bonzer, Jeff's board and my favourite board to a shaper and we spent a couple of hours coming up with a refinement of my favourite board). Had some fun waves last Sunday. dr robert wrote: And, a respectful question for those that employ the "superman' technique…why? I wish one of the real old timers from Hawai'i would provide their insight into the origins and art of "superman" style paipo riding. My take is that superman style usually isn't the easiest or most efficient way to ride, but it's hella fun and comes naturally to people who do a lot of bodysurfing. The perception of speed & the entire sensation of riding are much different, especially when you take both hands off the rails. When you're flying across a smooth wave like that, you can forget there's a board under you. It's easy to imagine this style evolved as a natural progression from bodysurfing. Riding superman style is essentially bodysurfing with the advantage of a big planing surface under you. Also,the traditional style of paipo riding with the rider always far forward on the board & head way out over the nose seems more conducive to having the inside arm thrust forward or swept back since you diminish the leverage (from the inside arm) and ability to control the board "bodyboard style" in that position. I started off riding paipos as a kid using the inside arm forward and back styles because that's how I saw the older guys at Makapu'u & Town doing it, and the arm forward style felt very natural since I did a lot of bodysurfing too. I never got to see the guys riding solid Country waves on paipos using the both hands on the rails - bodyboard style. Picking up paipos again later in life and riding them "bodyboard' style opened up a lot more performance options. Made me wonder why the bodyboard style didn't become the standard way to ride in Hawai'i. You still see a lot of superman style used by paipo riders on O'ahu today. Bodyboard style allows you to really bury the rail, put more power into (and do more kinds of) maneuvers, and easily maintain control on all types of waves. Superman style requires more finesse and attention to balance and body positioning. It also allows you to drive through and make big sections while still keeping the board flat against the wave surface and planing. There's also the greater perception of speed and the fun of being in a controlled slide. Sort of like the explanation car drifters give when asked why they like driving that way. I think superman style isn't the most functional, but I feel it's definitely the more stylish way of riding. Now I use both styles regularly, sometimes switching up on the same wave. Makes riding paipos even more fun. Superman style is alive and well on O'ahu. The DVD Bombora, contains an extra section and there is a single wave of a paipo rider, which I've been told was Mailie Point. The guy rides superman style while planning across a fast section, then grabs the rails when he does a big turn off the white-water. It's interesting footage because the guy tries to use the superman style several times but pulls his arm back in, either because he needs to stabilise himself, has to turn or he has to weight forward as the wave fills out. The arm must alter the riders centre of gravity a bit, as well as the pressure on the inside rail. Sean Ross never used it at Pipeline. I'm making some enquiries about whether the guys who ride Cunhas use it much. It could be one of those things some people like to do. The link to shorter boards and bodysurfing is right. The interviews I did with guys who were very good bodysurfers, often talked about how they changed arms (much more than grabbing a rail) to manoeuvre. I can see there may be something to the aspect of it being fun while going fast. I suspect it is a very different experience on a thin wood board as opposed to a foam board. Some ply surfing. Sean Ross at Pipe and an unknown at Kirra. Riding superman style on solid waves is definitely challenging. Doing the arm back style on steep pitching waves is even harder. Even the old masters have to put 2 hands on the rail sometimes. You can watch guys like Harry at big Makapu'u and be surprised how little they have to grab both rails even in the often bouncy conditions. They will 2 hand it for big cutbacks. Like I said, I think the superman style isn't the most purely functional, it's more of a stylish art like noseriding a longboard. I'll try to look up the old footage you're talking about. Ma'ili Point, the spot that breaks just west of it when it's big, and Green Lanterns a little ways down the road can be good paipo waves. I can assure you that superman style is alive and well at Cunhas & Wall. Those are spots I learned at, along with Publics. The pic from my last post is from Walls this summer. The guy could very well have caught the wave outside at Cunhas and rode through Walls if the swell was big enough. The last time I saw waves there, I watched a guy superman it from Graveyards well past the Wall. Might have been the same guy in the pic. Paul Lindbergh told me that paipo riders originated the superman style and that bodysurfers copied it. The superman style is useful on the HPD to get weight far enough forward to prevent the board from bucking; Paul says to trim forward until the board accelerates, then trim back a tiny bit onto the balance point. The only other way to get the same trim on the HPD is to scoot forward with both hands back and your face over the nose - a sketchy position that seems like a invitation for busted teeth. The superman position on the standard HPD allows the back hand to lever the board up to set the rail. Interestingly, the new HPD (I forgot the name) with more parallel rails rides very well with bodyboard (inside elbow bent 90 degrees) style. Superman style on a floaty, skegged board like the Austin is just style. Superman style on a narrow, domed board like the Malama Kai is a recipe for falling off. This little guy rides "pig style." Must be riding a pig plan shape, too. you know what, they all are good posture in body placement. As i see in photo's, everyone has that one-hand up front and the other on the side like a bodyboarder positions. And it's still good to use, some other paipo-riders has their inner (arm against face of wave) reaching out as a "counter-weight". With that style is some time good and not good. Some riders seem to just lay both hands on the deck to keep the board from getting into a "turbulence glide" chops making their rides successful. I know this topic is 5 years old, but I find this question interresting. I would compare this stance to longboard nose riding, all things being equal. It may not be the most performant way of riding, but it is stylish, and it gives a great feeling of trimming. But most important, it requires commitment, as you need to position far forward, it gives this little extra rush of riding "head first" without the (relative) protection of the board. This is also why I carefully choose on which wave I do it or not. If in my confort zone, I go for it, if not, I stick to the standard bodyboard stance, or I grab the nose with 2 hands. I find the superman style works best on guitar pick shape boards, if well done, on the right wave, it's a blast, one really feels the tail behaving like a fin. On my current ply board, flat, long and narrow, the superman style is not as efficient, I tend to use its variant, the "canon ball" style, it provides quite the same feeling, plus you really feel like you and the board are one. Another fun alternative is the superman style with both arms. I use it on crowded small waves, it allows to perform quick turns (to avoid a collision for instance), using the hands like front fins. 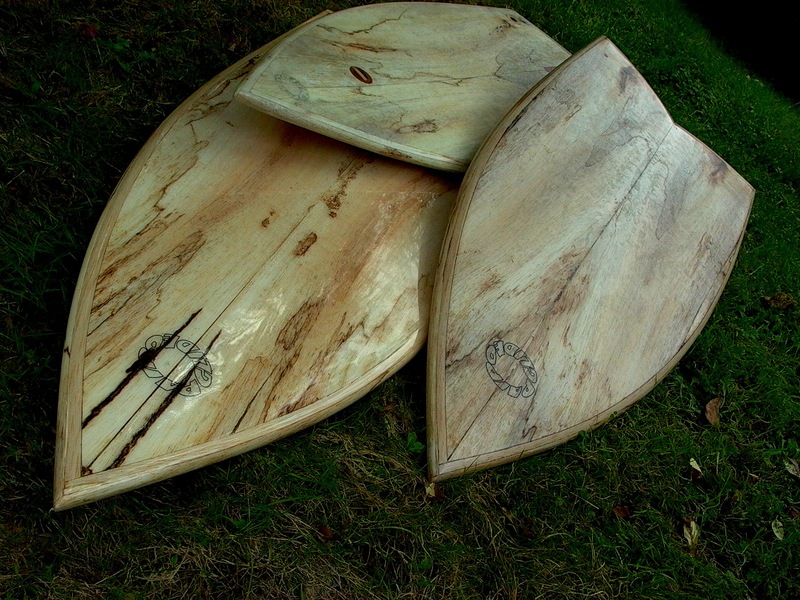 Aloha, I am the originator or creator of this "Malolo-style" of Papa Paepo'o board surfing. When you becomes "Ma'a" as one with your board, the board will work with you in any size surf. Riding up on the nose, well risking the board to purl-dive. Not to be rude but up front, ride the surf the way you ride. My style is called "malolo-style" in Hawai'i and well stated on every Papa Paepo'o boards I produced and my riders does it in style. Have a safe surf session. Hunting youtube for "action" of your Papa Paepo'o style I found the below video. Doesn't show you riding but the smile on that little face made my day. My childhood intros to water fun were a bit traumatic so I always love seeing someone that young having so much fun with great support and guidance from elders. Aloha big time!